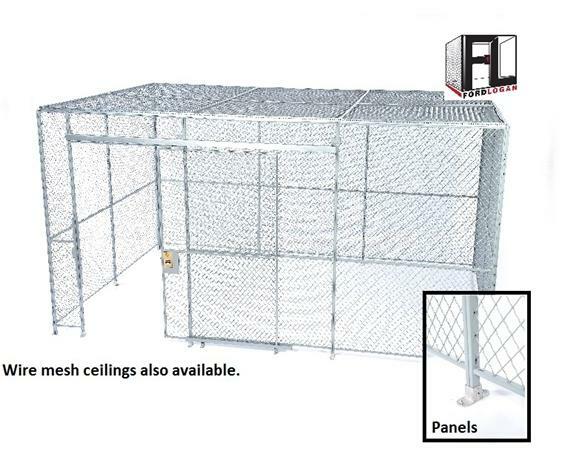 FordLogan sets the industry standard for woven wire partitions with superior 10-gauge wire woven into a 1-1/2" triple-crimped diamond wire mesh securely clinched to frames. Made in the USA for over 70 years and meets the national woven wire mesh specification where other diamond woven wire mesh products do not. Have peace of mind that FordLogan TRULY meets the design specification. FOB Shipping Point. 48 Hour QUICK SHIP for Standard gray stock material in 7', 8' and 10' heights available. Panels - 10-ga. 1-1/2" triple crimped diamond woven wire securely clinched to frames with 3.7" sweep. Stock panels available in 1', 2', 3', 4' and 5' widths, 7', 8', and 10' nominal heights. Includes formed base shoe with two holes to accommodate 1/4" floor anchors (contact us for options and pricing). 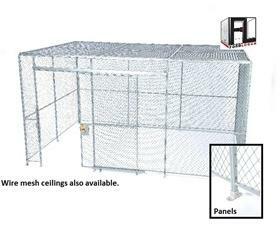 Panel Options - Sweep guards available for high security options. Consider sheet metal flex panels to bridge odd spans. Capping Channels - Made of 1-1/2" x 1/2" roll-formed channel, and sent in 8' increments. Our proprietary design fits on top of our panels and bolts through horizontal frame of panel to enclose wires and provide easier installation and more rigidity than u-bolts styles. Capping channel will be sent when required for your doors and panels at no additional charge. Flexible Doors - 7' hinge doors, 7' and 8' slide doors are reversible to open left or right, inside or outside of cage. Doors come standard with padlock setup, but also designed to accommodate mortise style cylinder lock. Optional panic bar exit devices and closers are available for hinge doors. Optional electric strike, magnetic lock kit, and hydraulic closers are now available for slide doors. Rigid Slide Gates - FordLogan slide gates are designed to hang using pre-punched line posts at both sides of the door opening and at the end of the track for easy and rigid installation. No more "guess which kit" installs your gate. Colors - Standard SpaceGuard Gray powder coat or optional black (specify color in comments). Other colors available for additional upcharge & lead time. 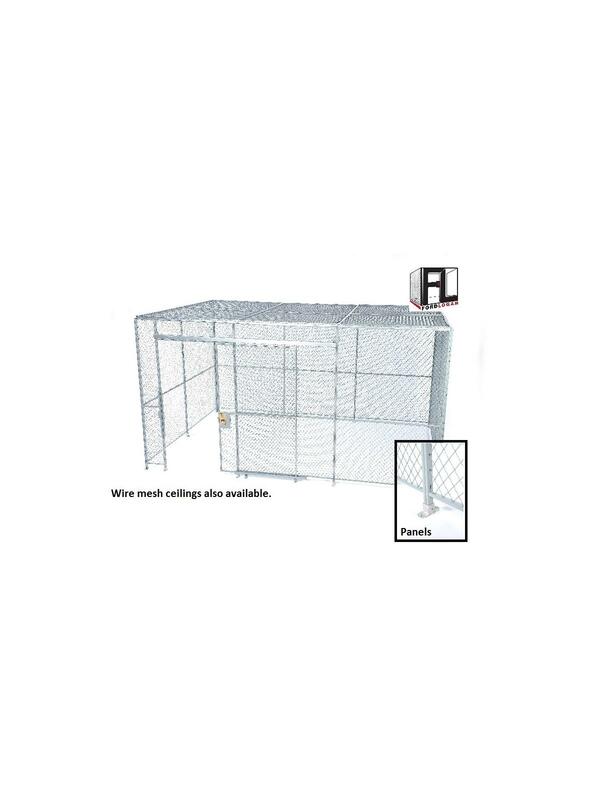 See Related Items tab for Woven Wire Mesh Partition Accessories.